Korean Air is being criticized for taking the expensive airline charge for the 19th year on the Ulaanbaatar route from Incheon to Mongolia, which has secured the exclusive rights to travel from the government in the past. According to Incheon International Airport`s exclusive route, Korean Air is receiving Ulaanbaatar air fare for 3 times more than the similar distance and flight time between Incheon and Hong Kong. Earlier, Hanjin Group`s total number of family members and the suspicion of tax evasion now followed by the controversy over the airline bill. The price of the round-trip ticket from Incheon to Ulaanbaatar as of May 15, starts at KRW 955,500 on the summer high season (June 27 ~ July 1) of Korean online booking site. The price of a round-trip ticket to Hong Kong from Incheon is about KRW 323,700, about three times cheaper than that of Mongolia. All of these tickets include a fuel surcharge of KRW 30,800. From Incheon to Ulaanbaatar and Hong Kong, the same fuel surcharge means that the flights are similar. Actual flight time is not different between Ulaanbaatar (3 hours 10 minutes ~ 40 minutes) and Hong Kong (3 hours 40 minutes ~ 50 minutes). 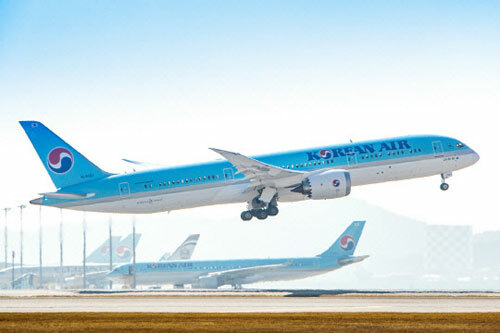 The Korean government and the industry cited "exclusive" flights as a background in which the price of a ticket is about three times the difference on similar streets. An official from the Ministry of Land, Transport and Tourism said, "Unlike Hong Kong routes, Mongolia does not have to compete for price because it is an exclusive flight for Korean Air." "The airline should not exceed the upper limit of the fare fare that is reported to the authorities." The average fare for Korean Air`s Ulaanbaatar route report to the Ministry of Land, Transport and Maritime Affairs is KRW 1,700,000 based on the standard fare, which is twice as high as Hong Kong`s KRW 544,600. Korean Air has been operating in this form for the past 19 years since its disembarkation by the government from the Ministry of Construction and Transportation (now the Ministry of Land Transportation) and the Mongolian government in 1999. An official of the industry said, "Even though there was Asiana Airlines at the time, Korean Air was able to say that it had eaten the route with the image of nationality." Hanjin Group Chairman Hanjin donated B727 aircraft to Mongolia, Mongolia has always been a part of the Mongolian government. It is in this connection that Joe was awarded the Polar Medal, the highest Mongol Medal. The official said, "Because of past ties, Chairman Cho Yang-ho will receive `state hospitality` when he visits Mongolia." Korean Air, in 2012, became a controversy because it was discovered that a high-ranking civil servant belonging to the Mongolian Aeronautical Authority was paying for the travel expenses of Jeju Island. In the meantime, the South Korean government and the Mongolian government continued their negotiations on the increased number of flights with the Mongolian government rejection. In addition, the Fair Trade Commission issued a correction order saying that Korean Air and Mongolian national airline American Art Airlines had unfairly monopolized the route in the same year, but the situation did not change. The company representative said, "The Mongolian route is focused on demand during the peak season (June to August), making it difficult to secure stable earnings throughout the year, and the airfare is expensive due to poor weather conditions, "He said." It`s not as high as the comparable freight rates of similar routes on a single carrier. " THE DIGITALTIMES Copyright ⓒ The DigitalTimes. All Rights Reserved.